1) Watch a movie under the stars – The ultimate Cape Town movie date night! Whether you’re 15, 55 or 85, dinner and a movie is, and will always be a timeless and enjoyable date night combination. But the Mother City just wouldn’t be the Mother City if she didn’t add her own special touch of sugar, spice and something romantic and nice to the experience. And an open air movie under the beautiful Cape Town starry lit night sky is exactly that! Galileo Open Air Cinema takes movie date-night to the next level and offers the perfect romantic night out for you and your special someone. 2) Take a cable car trip up the glorious Table Mountain – Because what’s more romantic than saying ‘I love you’ on top of one of the New7Wonders of Nature! Seeing the Mother City from way up high is always a special experience, but there’s just something so beautiful and exhilarating about seeing it from the top of the most iconic and beloved Cape Town gem, Table Mountain. And doing it while enjoying a ride on the Aerial Cableway just puts the sweet romantic cherry on top! Whether you chose to spoil your partner with a romantic sunset trip to the top, or a morning or afternoon delight, it promises to be one romantic gesture that will never lose its character and charm. This truly is a Cape Town romantic gesture classic in every way! 3) Have a lover’s picnic at one of your favourite picnic spots – Cape Town Picnic for 2 coming right up! Summertime in Cape Town means beautiful warm sunny days and late sunsets, making it the absolute best time for a picnic. Now add an extra dose of February love to the mix and you’ve got yourself the perfect romantic gesture. There is nothing quite like sharing a picnic with the one you love, but there’s just something extra special about doing it in the ever-beautiful Cape Town. Maybe it’s the sensational Cape Town scenery or the extensive range of picnic spots available, but we just can’t get enough of picnic time in Cape Town! Whether you’re looking to enjoy a picnic on the beach, boulders, mountain top, winelands or lawns of Kirstenbosch Botanical Gardens, it promises to every bit as stunning as it is special. 4) Take a romantic ride on the Cape Wheel – Time to live out your rom-com dream! While some might call it cheesy, there’s certainly a reason why a ride on a ferris wheel is considered a rom-com classic, because it’s just that good! The Cape Wheel at the V&A Waterfront gives you and your special someone the perfect opportunity to live out your favourite rom-com movie scene, and what an amazing experience it will be indeed. While the ride may be fairly quick, it rates super high on the romance scale and the spectacular view is guaranteed to knock your socks off! The V&A Waterfront is also home to an extensive range of incredible restaurant eateries and accommodation in the waterfront is world class, thereby adding another special touch to your romantic night out. 5) Create an ever-lasting bond by jumping into the thrilling Cape Town unknown – The ultimate leap of faith! There’s nothing quite like a good ol’ adrenaline rush or thrilling experience to bring 2 people closer together. Plus, there’s just something so incredible about 2 people experiencing something together for the very first time. It’s often in these moments that we feel most alive, and what’s better than being side-by-side with your ‘partner in crime’ when you decide to take the leap. So grab your partner’s hand, step outside of your comfort zone and jump into the beautiful unknown with one of the Mother City’s most exciting and exhilarating adventure experiences. Whether you choose to paraglide, skydive, abseil or shark cage dive, it promises to be an experience that neither one of you will ever forget. Now that’s the stuff real relationships are made of! Our Cape Adventure Tour is jam-packed with trilling experiences guaranteed to put a BIG smile on your face! 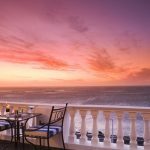 6) Sundowners and sunsets – A spectacular Cape Town combination! Nowhere else in the world will you witness a sunset quite as spectacular as in Cape Town, it REALLY is that good! But watching the Mother City sun go down with a sundowner in hand and the person you love and cherish by your side is another sensational experience entirely. 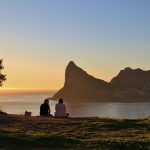 The Mother City certainly has no shortage of spectacular sundowner and sunset spots, you therefore get your pick from the best of the best. Whether you choose to enjoy a cocktail on the rooftop of a trendy inner city bar or sip on sundowners at one of Camps Bay’s sunset strip stunners, it promises to be filled with truly beautiful moments. 7) Enjoy an ice-cream while strolling the streets of Kalk Bay – Because we doesn’t LOVE ice-cream? 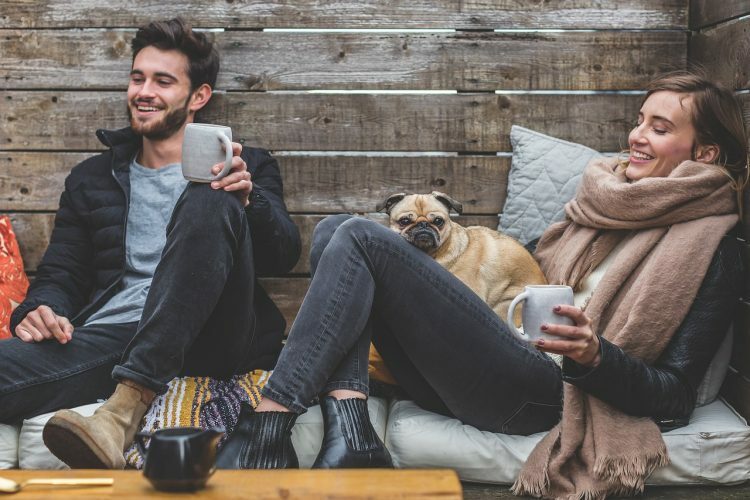 Take it back to the sandbox and matching shoelace days and let your inner crushed-out kid free by enjoying the sweet taste of an ice-cream with the girl or guy of your dreams. As kids, buying your crush an ice-cream was the ultimate romantic gesture, and there is absolutely no reason why that shouldn’t apply now too! Now add strolling the streets of the coolest neighbourhood in the world, Kalk Bay, and you’ve got yourself a romantic gesture that’s sure to sweep that special someone off their feet. The Ice Café in Kalk Bay is an ice-cream winner indeed! 8) Enjoy a spectacular day of pampering at one of Cape Town’s luxury Spas – Because we all deserve to be spoiled from time to time! When it comes to luxury spas and stunning retreats, Cape Town certainly has it all! And treating yourself and your loved one to a special spa day is love and luxury at its very best. From aromatherapy massages and mineral scrubs to facials and detox treatments, the Mother City is guaranteed to have a spa treatment with your name on it. Treat your significant other to a day away from the hustle bustle and escape to a luxurious and serene world without really leaving the city at all. And let’s be honest, who doesn’t LOVE to be spoiled? The One&Only Spa, Angsana Spa at the Vineyard Hotel, O on Kloof Boutique Hotel & Spa and the Spa at the Twelve Apostles are just a few of the Cape Town spa gems you should absolutely try out! 9) Explore the Cape Town sky like you never have before – Helicopter or hot air balloon ride? There is no view quite like the bird’s eye view of the Mother City in all her glory, and taking a helicopter flight or enjoying a hot air balloon ride are 2 of the most sensational, exciting and exhilarating ways to do just that! Surprise the one you love with one of the most luxurious romantic gestures, and while it might be grand, and it might be bold, it’s guaranteed to sweep them off their feet! So if you’re looking to step your love game up a notch and take it to new heights, you better buckle up and enjoy the ride! Our super special Cape Winelands Hot Air Ballooning Tour and Scenic Helicopter Experiences promises to be a spectacular ride you’ll never forget! 10) Wine, dine and have a good time – What more could you ask for? The beautiful Cape Winelands has a certain charm and romantic flare that’s hard to ignore, and turning it into a day of tasting, exploring and discovering is a super special romantic treat indeed. The official month of love provides you with the perfect opportunity to do just that. 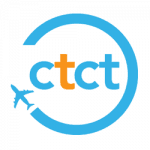 Whether you choose to explore one of Cape Town’s most renowned wine routes like Constantia, Franschhoek, Helderberg or Durbanville, or choose to discover a new wine gem entirely it offers the perfect romantic day out. And sharing a unique bottle of Cape Winelands nectar while admiring the sensational surrounding scenery will never be anything short of spectacular. But if you’re looking for a day jam-packed with some of the best wine Cape Town has to offer, our Cape Winelands Full Day Tour is the perfect pick for you! Because we all deserve a taste of the sweet stylish life, why not take it to the next level during the love-filled month of February? Cape Town without a doubt boasts some of the most spectacular coastlines in the world, and exploring the Mother City on the water allows you to see and explore them in a whole new way. When it comes to exploring the beautiful Cape Town on the water, your choices are endless! From sunset boat cruises, lavish luxury yachts and cool cruising catamarans, the Mother City has it all! This is one lavish romantic experience you’re both guaranteed to remember for many years to come. 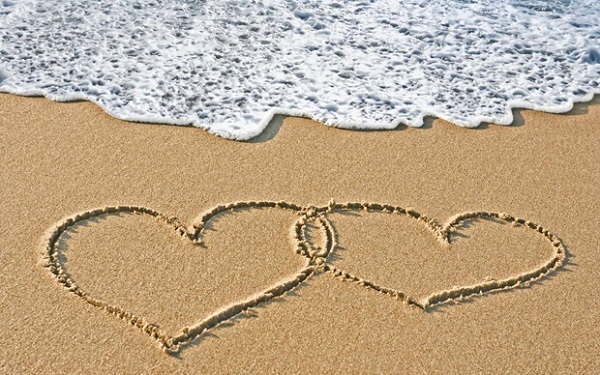 12) Spend a romantic day on a beautiful secluded Cape Town beach – The ultimate setting for a blossoming romance! The Mother City is home to some of the most picturesque beaches in the world, she certainly is at the very top of her beautiful beach game and loving it! And you’re invited to soak up every single second of that Cape Town beach bliss you’re your romantic beach day out. Why not break away from the hustle and bustle, step away from the crowds and discover a hidden beach you can call yours for the day? Which magical secret beach will you choose? 13) Go for a romantic stroll on the Sea Point Promenade – Explore the city hand-in- hand! Strolling, sightseeing and stolen kisses is an unbeatable romantic triple threat and one you should most definitely aim to do this February. The stunning Sea Point Promenade is the perfect destination for a scenic stroll along the Cape Town coast. Jam-packed with special sightings of some of the most iconic and celebrated landmarks in the Mother City, tons of fun activities and delicious street-side food spots, you really cannot go wrong! And if you’re not quite in the mood for walking, cycling, skateboarding, rollerblading or sprinting are options too! 14) Share a meal with the one you love – Because sharing is caring! There is nothing quite as special and soul soothing as sharing a meal with your significant other. And when it comes to food, the Mother City sure knows how to pull out ALL the stops, and during the month of love she promises to take it to the next level. From 5-star top-tier restaurants, trendy up & coming eateries, roof-top dine-out spots and local food gems, the Cape Town food scene is bursting with flavour and yearning for you to join in on all the deliciousness. So it’s time to step up, step out and step right into your romantic dining destination for 2 – ENJOY! 15) Enjoy every magical second of horse-riding on Noordhoek Beach – Time to star in your very own movie romance scene! We’ve all seen it before, whether in a classic rom-com, reality show or favourite TV series, two love birds enjoying a horse-back ride on a beautiful secluded beach, ring a bell? Well, now you can star in your very own romantic movie scene with a spectacular horse-riding experience on the picturesque Noordhoek Beach! Feel the wind in your hair as you canter along the Noordhoek seashore to the spectacular backdrop of the sun setting over the Atlantic Ocean – now that’s what we call romance! Whatever romantic activity you choose to enjoy this February, the Mother City promises to make it extra special. And although most might think the ultimate romantic gesture needs to be big, bold and blow everything else out of the water, that’s not at all the case. Romance is about the thought, the effort and the gesture, it’s about showing that you care. And doing all of this while enjoying a spectacular day or night out in the ever-charming Cape Town with the one you love by your side is just an extra special treat! Happy LOVE month of February Cape Town! Browse our Curated Collection to view even more incredible choices for romantic accommodation in Cape Town. This collection includes some of our most sought-after apartments and villas across the city’s top destinations. You can also contact us for assistance in finding the very finest selection of romantic accommodation in Cape Town. Now it’s over to you. How do you plan to spend your Cape Town Valentine’s Day this year? Leave your ideas in the comments below!